The Tavua football side will come with positive mind hoping to create another upset when they host Suva in the Vodafone Premier League match this weekend. 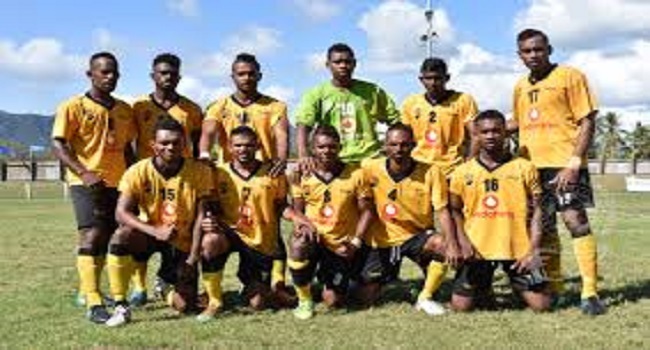 The side beat Nadi 1-nil in its first home match two weeks ago. Coach Saroj Kumar says they will try not to upset their fans on Sunday at Garvey Park. Tavua takes on Suva at Garvey Park at 3pm on Sunday and in a match earlier at 1.30pm Ba takes on Dreketi at Subrail Park. On Saturday, Labasa host Ba at 1.30pm. You can catch a live commentary of the Labasa-Ba match on Radio Fiji Two.